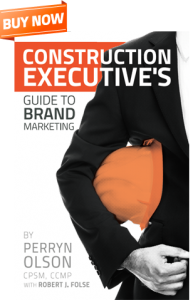 We wrote the book on marketing construction companies from the construction executive’s perspective. In the award-winning book, we share how brand marketing can grow a construction company’s profits, increase client and employee retention, and the tools needed to get the job done. The book also discusses the marketing and business development personnel needed to beat your competition. We regularly blog about the ways in which brand marketing, websites, social media, and marketing affect the construction industry and your own construction company. We believe in sharing our expertise about how branding, social media, websites, and marketing impact the construction industry. Dig deep with us and download our whitepapers. 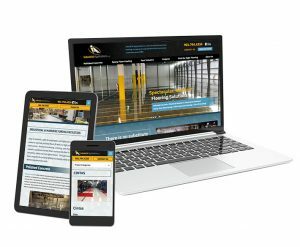 Because of our expertise in construction brand marketing, websites, and social media, we are often asked to write for construction and marketing industry publications, including ABC, AGC, CFMA, and SMPS. We’ve also surveyed the construction industry and release our findings in our annual Construction Marketing Survey. Our Principal, Rob Folse, regularly speaks and publishes material about all things related to construction marketing, websites, social media, and branding. Book him for your next presentation or publication!